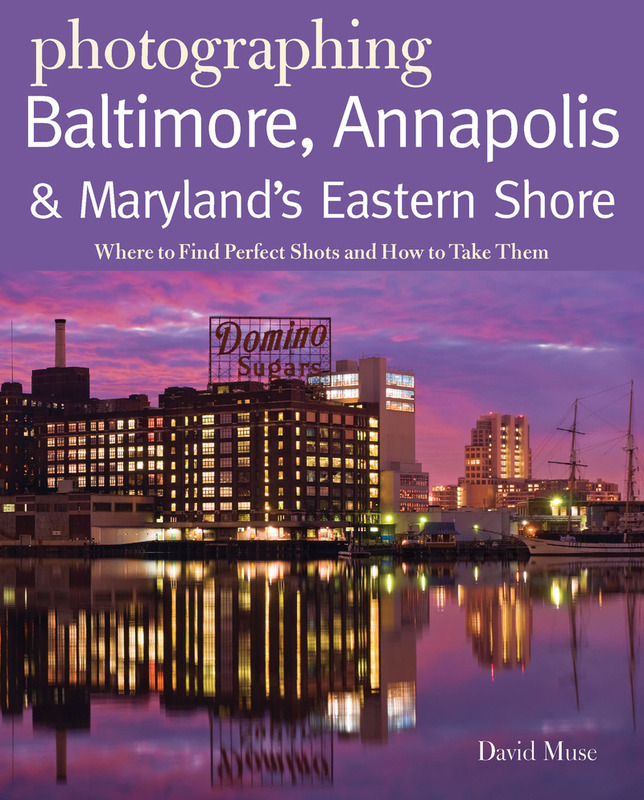 To learn when, where, and how to photograph Baltimore’s Inner Harbor, the historic neighborhoods surrounding it, the Chesapeake Bay, and nearby cities, you need to ask a local, someone with photographic expertise who also knows how to get the best images of these iconic spots. Whether it’s tall ships bedecked with snow, War of 1812 reenactors in costume, nighttime city skylines, or a leafy cobblestone street of colonial brick homes, Baltimore photographer David Muse knows the best times of day, the best seasons, and the best places to find great photo ops. He’ll help you capture city- and landscapes bathed in natural light and find interesting photo sites you might never have found otherwise. Each year he conducts several popular photo tours, trips, and workshops in and around Baltimore and throughout the greater Mid-Atlantic region. Let his insider’s knowledge of the area and expert’s understanding of the medium help you make your best photographs yet. David Muse teaches travel and outdoor photography in Baltimore, MD, his hometown. He has published numerous articles, including one on photographing fall foliage in western Maryland’s mountains in Maryland Life Magazine. Muse regularly contributes how-to articles to the Photographers Alliance Workshop (PAW).